While I shoot almost fifty weddings per year, it is not often that my work is featured on wedding blogs. Most wedding blogs have a heavy emphasis on detail-oriented weddings, preferring to feature weddings where the bride and groom make most of their wedding details by hand. While many of my clients do have a hand in putting their wedding details together, not all of them have the time or inclination to go to such Pinterest-level lengths. I often submit gorgeous weddings for review, only to have them rejected from wedding blogs for seemingly arbitrary reason. While I don't mind rejection and completely understand that not all weddings fit all wedding blog’s aesthetics, it’s always a joy to be featured on a site such as Style Me Pretty. Ashley and Zach’s wedding was a perfect fit for this vintage-themed blog. The details of the day were all beautiful, heartfelt, and deeply meaningful to both the bride and groom. I had the pleasure of working with Unique Visions Studios for the couple’s wedding videography. The bride wore Romona Keveza and Jimmy Choo. Catering was provided by Feastivities. The band was Gonzo’s Nose, and the ceremony and reception were both hosted at Sweetwater Farm. 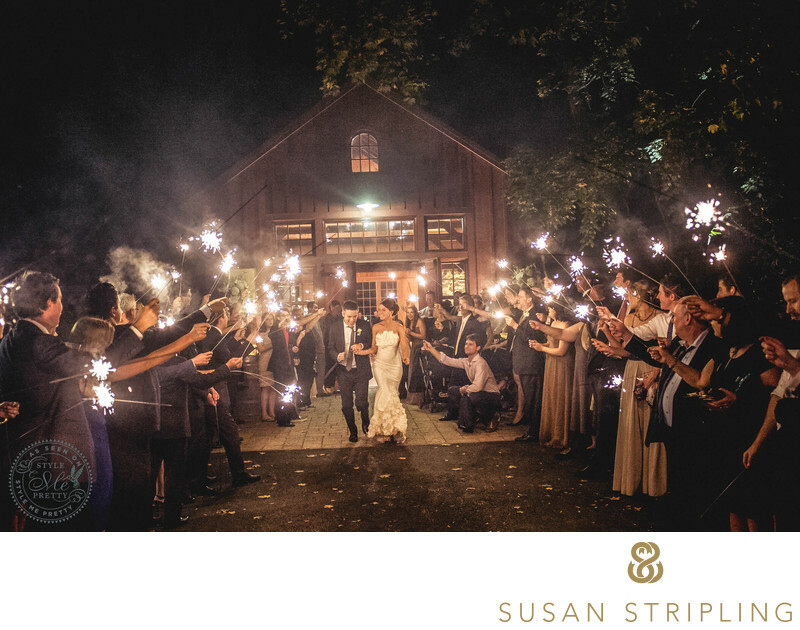 You can see this beautiful Sweetwater Farm wedding featured on Style Me Pretty here! 1/125; f/2.8; ISO 8000; 28.0 mm.